KBH Archers owns 34 acres and has been given permission to use additional property that borders ours. Our club house, which was built in 1996, has a 5000 square foot indoor range with 16 shooting lanes, meeting room, kitchen and handicap accessible bathrooms. The grounds include a fenced children's play area, a campground capable of holding 35 RV's and parking for 200 vehicles. We also have a 28-target walk-through range, an outdoor practice range with targets out to 100 yards and a broad-head area for your pre-hunt tune-ups. Our club is proud to provide a safe and fun family atmosphere where you can bring your kids and teach them the love of archery. New members are always welcomed. Our facilities are open to non-members use for a nominal daily fee. NON-MEMBERS JUST PARK AT THE GATE AND WALK IN. PAY THE DAILY FEE AND ENJOY THE RANGES. The KBH Club House has a meeting room capable of handling gatherings of 40 to 50 people. Kitchen facilities are also available. 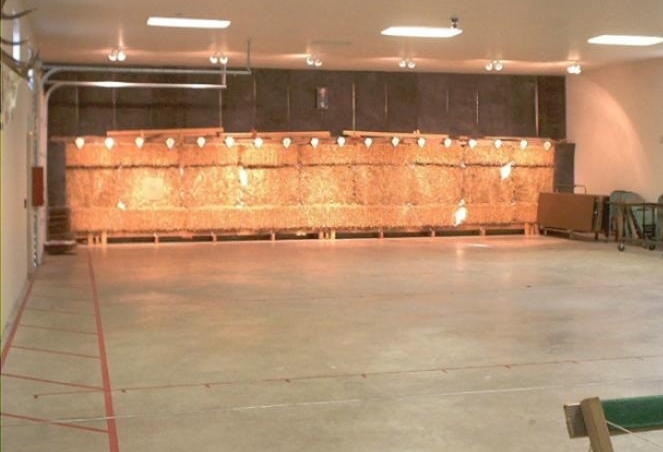 Besides the indoor leagues held during the winter months the 20 yard indoor range can be rented for large functions such as wedding receptions and family reunions. The club also has a large fenced in playground for children.